INDA membership equals networking, education, advocacy and information. 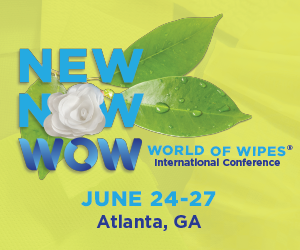 INDA leads the way in the global nonwovens industry to help its members grow their business and become more profitable. Various types of memberships are available for organizations, including Corporate, Associate (Consultants, Research Agencies, Academia, etc.) and Association. Contact Morris Collins, Director of Member Relations, at +1 919 459 3714, or e-mail mcollins@inda.org, to request membership information today.